This replacement freehub body fits all HED Sonic series hubs from 2009-present. These hubs feature an oversized 15mm axle. Not compatible with pre-2009 hubs featuring 12mm axle. Choose Shimano 9/10/11 or Campagnolo 9/10/11 compatible bodies. Shimano option includes spacer for 10 speed cassettes. 11 speed conversions from 10 speed wheels will typically require a re-dishing of the wheel of 1 mm - 2 mm. 10 speed H3 and HED discs wheels are not convertible to 11 speed. Swap out was super easy on the current gen HED Ardennes Plus Disc, installation took maybe 5 minutes. Interesting design in that the Campy version does not have ALL of the splines that a ShimanoSRAM has - maybe 4 or 5 only. So far has done great, 5 pawls is nice for quick engagement. 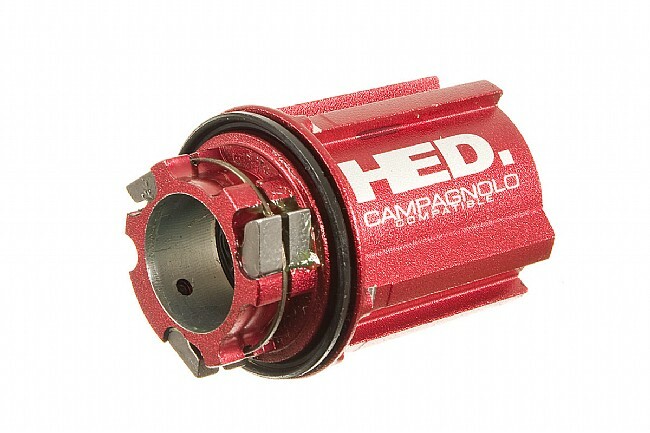 Great Free Body Hub for Campagnolo Drive train Wow. 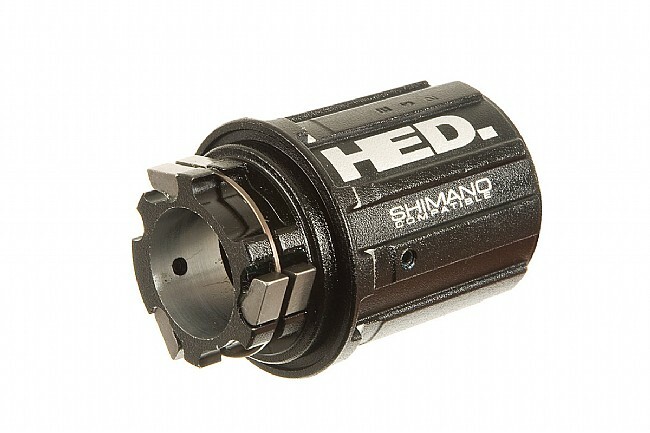 Having a HED Wheelset and switching from Shimanno 10 speed to Champagno 11-speed I had upgrade my freebody hub, buy this HE'D compatible Freebody Hub made to transition earlier.